Brew Whale Tea Infuser | OhGizmo! You guys seem to be into tea, and tea infusers. Good for you, really. Good for you. We like them too! 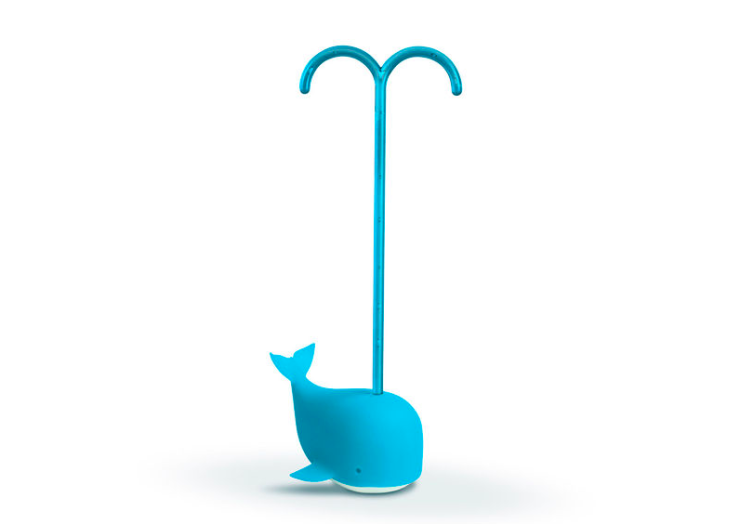 So how about this cute Brew Whale Tea Infuser? It’s made from silicone, will plunge to the depths of your tea cup and stay submerged for as long as you want. When your tea is steeped enough, pull on the handle and help the little whale breach the surface. It’s $14.